Engel Austria, together with its system partners Liquidmetal Technologies and Materion Corporation, organized the Engel Deutschland Technologieforum Stuttgart with a focus on its Liquidmetal process. Over 200 guests attended the forum, held in Engel’s Stuttgart, Germany subsidiary for two days in mid-January. Besides plastics processors, metal processors also took the opportunity to get to know the new technology. As a sample component, small flags with a very delicate and complex three-dimensional structure were produced during the forum. “The number of registrations far exceeded our expectations,” said Claus Wilde, Managing Director at Engel Deutschland and Head of the Technologieforum Stuttgart, who opened the event. The name Liquidmetal stands for a group of zirconium-based alloys that have been developed by the US-based Liquidmetal Technologies. 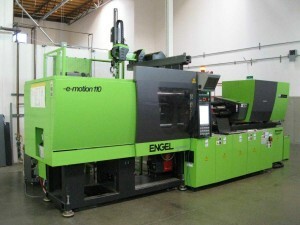 Engel is the only supplier in the world offering machinery and system solutions for the injection molding of these materials. A third partner is Materion Corporation, the material producer and distributor that based also in the US. Being able to be processed in injection molding is a further advantage compared to other metal materials, because this makes particularly efficient, automated and integrated processing methods possible. It is not only about substituting the material in an existing product, he said, but rather how the components can be designed in a new way “that can take full advantage of the potential of the material”. The companies believed that there will be a broad field of applications for Liquidmetal, from medical technology to electronics, automotive to aerospace and even sports equipment. “Liquidmetal offers great potential in particular for components subject to strong mechanical strain with high demands on component design and surface quality,” explained Christoph Lhota, Vice President Engel medical, citing an example of the long and sometimes very delicate instruments for keyhole surgery. A particularly interesting issue is the combinability of Liquidmetal with other metals or plastics in a multi-component process. The company’s technology center now has its ISO 9001:2008 certification and is manufacturing parts for customers. Apple and Swatch are among those who already got the first licenses from Liquidmetal Technologies.